Our apartment 5 with its 150m2 is the biggest apartment in the apartment complex Casa del Sol, in Santa Ponsa and is a perfect fit for a family vacation or a getaway with a group of friends. Three separate bedrooms off of the hallway provide the necessary privacy. The kitchen is equipped with everything you can think of. A large fridge provides room for all your groceries and supplies and a full stove with four cookers and an oven let you enjoy the preparation of every meal. A spacious dining room or you private patio can be the location of family dinners and get togethers. Best of all – a dishwasher to do the clean-up for you. A large living room with TV is the perfect set up for a relaxing evening. Two bathrooms, each with shower, toilet and sink are great to have available for more people. Furthermore, for your comfortable stay, the apartment has two AC units installed to keep the apartment nice and cool. 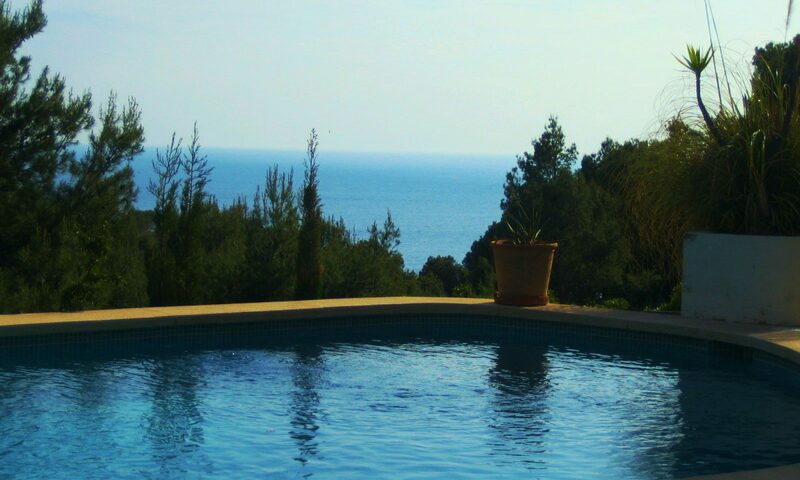 You can also refresh with a dive in the pool on site or opt for a relaxing visit to the Finnish sauna also available for the guests of our Casa del Sol. The apartment is for rent at 150,00 Euros incl. tax per day. In addition we charge a onetime fee for 150,00 Euros incl. tax for final cleaning and laundry. Furthermore a deposit of 150,00 Euro is to be paid in cash.